Info: 2 Bedroom, 2 Bath Gulf-front Home with 1150+/- square feet. Lighthouse condominium, waterfront property in Gulf Shores AL. Amazing beach home with 2-BR’s & 2-BA’s plus a bunk-room in one of the most popular communities complexes in Gulf Shores, the Lighthouse. This condo has a remodeled master bathroom, including a large shower with floor-to-ceiling tile. This spacious beachfront home is the perfect as a second home or as a real estate investment. This gulf-front residence features tile-flooring throughout, includes plenty of storage and is pet friendly. The designer furniture and all kitchenware convey – turn-key ready. 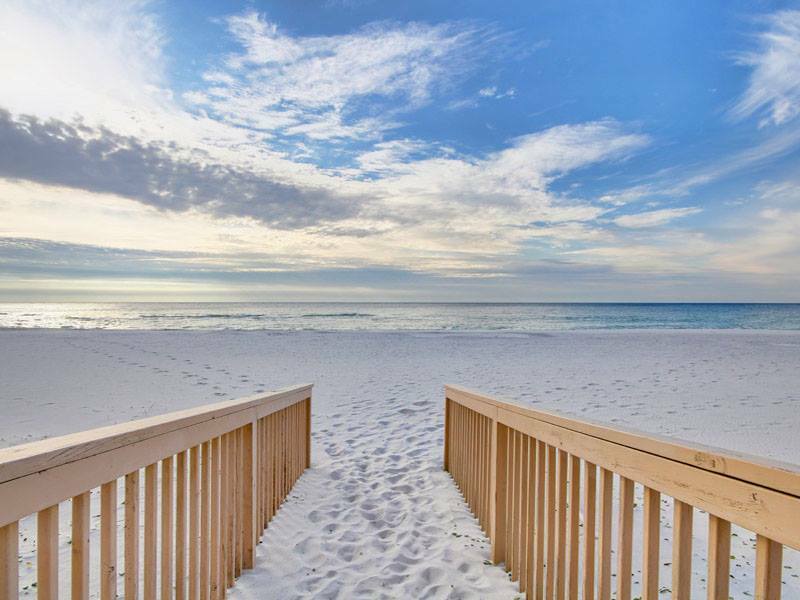 The Lighthouse community amenities include 2 outdoor pools, 1 indoor pool & 2 outdoor hot tubs, an exercise facility, sauna and more…you have to see this home at the Lighthouse Condominium in Gulf Shores AL. Gulf Shores Alabama is a popular family beach vacation destination, the warm climate allows for an abundance of outdoor activities, dolphin cruises, championship golf courses, bird-watching, deep-sea fishing charters and nature hikes. for accommodations. Gulf Shores accommodations include national hotel and motel chains, camping or a variety of homes for rent by owner and/or management companies.